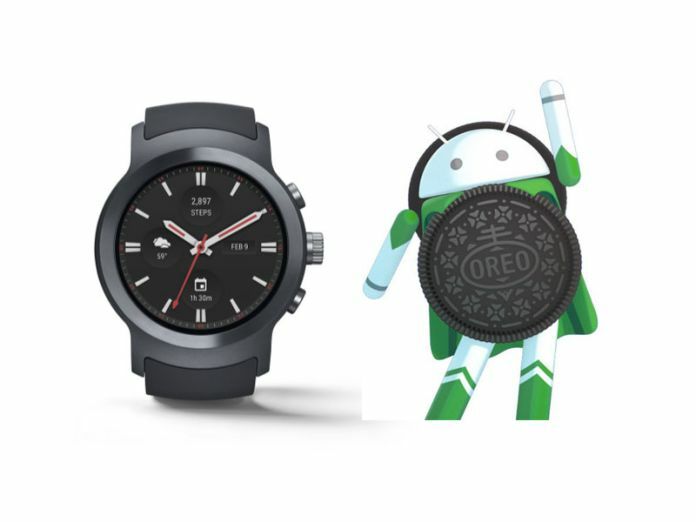 Today, Google has announced the launch of beta of the next Android Wear update, the Android Wear beta program is only available for the LG Watch Sport. As the company mentioned at Google I/O, this will mainly be a technical upgrade to API 26 with enhancements to background limits and notification channels. If you’re interesting in joining the Android Wear beta program, start by signing in here, then find the LG Watch Sport in your list of devices and click the green button to enroll it. On the watch, go to Settings -> System -> About -> System Updates to begin downloading the update. You might be required to put the watch on the charger to begin the download, even if the battery is full. As this is a beta, please be sure to review the known issues before enrolling. If you don’t have a watch to test on, you can use the Android emulator. Android Oreo on smartphones and tablets introduced notification channels and stricter limits to background processes. Notification channels let users have more control on which notifications to mute or block. A single app can send different types of notifications and can be grouped into different categories. Android Wear owners will be able to do likewise on their watches. There are also more restrictions on background services. Google says that developers should assume that their app won’t run in the background at all without a visible notification. Background limits are battery-saving properties that should extend the battery life of some watches. If you’re developing for the OS and you don’t have an LG Watch Sport to test it out on, Google says that you can use the emulator that’s part of the SDK. If you’re using Android Wear for China, there should also be an updated emulator image available. There’s no word on when Google will make the Android Wear beta program available to more watches.